Newcastle University is located in central Newcastle, in the county of Northumberland. Newcastle is situated to the north of the River Tyne and is the biggest city in the north east of England, with a central population of 280200 rising to over 1 million within the metropolitan borough of Newcastle upon Tyne. The city is served by Newcastle International Airport which is 6 miles outside the city centre and connected to the city by Newcastle’s Metro underground railway. From Newcastle International Airport flights are available to most European cities as well as to some destinations on the east coast of the United States. Newcastle railway station offers connections to the rest of the UK, and London is 3 hours away. Coach connections to all UK cities are also available. The average lowest temperature in Newcastle is -.5 degrees in January and the average highest temperature is 16 degrees in July. Newcastle University originated with the School of Medicine and Surgery which was established in 1834, and the Armstrong College founded in 1871 for the teaching of physical sciences. These two colleges formed one division of the federal University of Durham and merged in 1937 to form Kings College Newcastle. 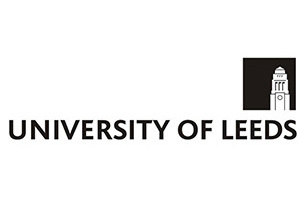 In 1963 when the federal university was dissolved, Kings College became the University of Newcastle upon Tyne and latterly Newcastle University. Originally renowned for maths, physics and chemistry, the University later became well known for its reputation in mining, engineering and naval architecture. It retains a strong reputation for medicine. The main campus site is close to the Haymarket, just north-west of Newcastle city centre. The campus itself is spread over a number of streets in this location. As mentioned, most student accommodation is within 3-10 minutes walk from the main campus with the furthest, Bowsden Court in South Gosforth, and St Marys College in Fenham being 2 miles away. Newcastle is well served by metro underground making transport to and from campus easy. Newcastle university is ranked =171st in the Times Higher Education rankings. It is ranked between 201-300 in the Shanghai Jaio Tong rankings and is a member of the Russell group of universities. Newcastle university is ranked =36th in the National Student Survey Satisfaction survey. The latest figures indicate a total of 4000 international students coming from 120 countries representing approximately 19% of all students. Pathway entry for international students-INTO’s Study Centre at Newcastle offers foundation courses leading to degree course entry. For more information, please visit Pathway & Foundation page. There are currently 21,050 students at Newcastle, of which 15040 are undergraduates and 6010 are postgraduates. HESA government statistics show that 93.7% of Newcastle’s graduates are in employment or in further education 6 months after graduation. However, a breakdown of post-graduation employment by course, showing the split into professional/managerial positions, rather than general employment figures, is available from Unistats an independent source of university data. For more information, please visit the RAE Information page. Newcastle offers 160 societies and sporting clubs. It also owns the Great North Museum in partnership with the city’s Hancock Museum. The Robinson Library houses special literary collections, and the Kings Hall is a ceremonial centre which hosts musical and cultural events. The University also owns Newcastle Centre for the Literary Arts, the Northern Stage Theatre for contemporary theatrical works, and a large sports centre. A wide range of catered and self-catered accommodation is available in either university-owned or partnership managed premises. All new students are guaranteed accommodation for their first year. Contracts in university-owned accommodation are for 38 weeks, whilst partnership-managed accommodation contracts are for 42 weeks. University owned halls of residence are located around the city (all within a short walk of the main teaching buildings) and comprise catered halls or self catered flats of differing sizes. All are single rooms, some with en-suite facilities and most share kitchen (and bathroom) facilities. The lowest price for a single room with shared bathroom and kitchen facilities is £106.89 per week. An example price for catered accommodation is £135.38 at Castle Leazes. Fees for full time undergraduate courses start at £17,175 for Arts & Humanities subjects rising to £22,110 for science and engineering subjects. REF (Research Excellence Framework) was an independent government review conducted into the quality of research at UK universities and published in December 2014. This information highlights subjects of specialism within each university. We have listed all subject areas where at least 60% of the research conducted in these specific fields has been graded 3 or 4 stars. (4 stars being the highest ranking REF award). For more information, please visit the REF Information page. 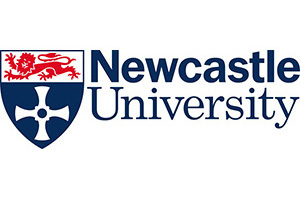 Newcastle offers Continued Professional Development courses online in a range of scientific and medical fields. 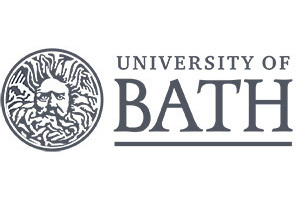 Postgraduate medical and psychology research courses are also available. The only Arts subject currently available online is an MA in Heritage Management and Tourism and some Massive Online Open Courses are due to available from 2014 although no information on the subjects is currently available.